Ten years ago, the world got much bigger making our gadgets smaller all in one shot. Steve Jobs introduced the iPhone, the first internet connected smartphone that put user experience above all, finally 10 years later, Apple introduced iPhone X. There have been many rumours about the iPhone X before and after the release as well. So here I am to guide you to make a better choice whether or not to invest in the iPhone X. This post is to let you know the actual reason behind investing such a big price. As soon as Apple announced their iPhone X everybody were taken aback as it has a complete glass body. Apple has promised to have the most durable glass ever in a smartphone both front and back. It also has a surgical grade stainless steel strip around the edges which makes it feel more elegant. As always Apple has designed it to be dust and water resistant, so you don’t need to worry even if your iPhone splashes water on itself. It is for the first time ever that OLED screen that rises to the standards of iPhone, with accurate, stunning colours, true blacks, high brightness and a 1,000,000 to 1 contrast ratio. The all-new 5.8 inch super retina screen fills the hand as the whole device itself acts as the screen. Each and every portion on the screen has been used very efficiently to have the maximum display. The colour reproduction in the super retina HD display is just exquisite and dazzles the eyes. HDR stands for high dynamic range and the main functionality of HDR is to take a series of images, each shot with different exposure from darkest to lightest. The best parts of different shots like overexposed, underexposed and balanced shots are combined to create a dramatic picture with fantastic shadowing and highlights. 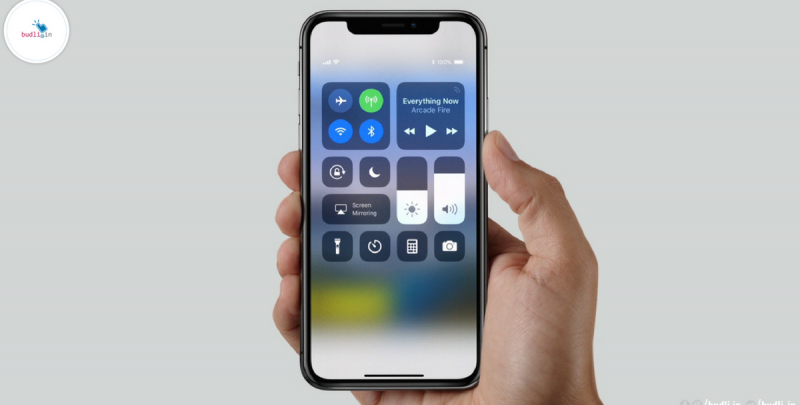 The iPhone X is equipped with Apple’s A11 Bionic system on chip which is a six core processor with two cores optimized for performance along with four cores optimized for efficiency. This provides the iPhone better speed. iPhone X is almost 70% faster than its previous generations. Though people all around the globe had their own doubts about using face ID to unlock the iPhone, it didn’t take more than a couple of days to be accepted. As the face recognition is much more convenient for the users to unlock their device. This is one of the features on iPhone X that quickly grabbed eyeballs. The camera of iPhone X is the cherry on the cake. It has a larger and faster 12-megapixel sensor. A new colour filter. Deeper pixels. And a new telephoto camera with OIS. More additional features include a faster autofocus, 36% faster telephoto lens, sharper photos with less noise, more dynamic range, optical image stabilization in the telephoto lens (only the wide-angle lens was stabilized in previous models), upgraded video capabilities – 4K video at 60fps or full HD at 240fps. This feature on the iPhone makes it much more playful than ever. The users’ face is recognised and the True-Depth camera analyses more than 50 different muscle movements to mirror your expressions in 12 Animoji. With the addition of both fast charging and wireless charging to Apple’s 2017 iPhone line-up, there are more ways than ever to charge your iPhone. Every method is different — some are faster and more expensive, while others are slower but more convenient. The wireless charging (7W) combines the best of both worlds and gives you faster charging very efficiently. If you are someone who is thinking of buying a new smartphone then you need to check out our online refurbished marketplace at budli.in. Refurbished products are the solution to your needs and if you want to own one then we will help you find the best device for you. We at budli.in are the leading marketplace for refurbished products in India. We have a huge inventory of products ranging from smartphones, tablets to laptops. Check out budli.in and grab your next best smartphone now!